Many people feel insecure about their smiles. Others feel uncomfortable about seeing their dentist for problem teeth. Dental implants can help with both these problems. There are several reasons why you might choose dental implants, but the result is the same. 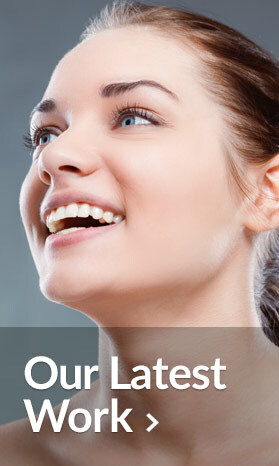 You can enjoy a good looking smile with fully functional teeth by choosing dental implants. Missing teeth can be the cause of great embarrassment. A lost tooth can prove problematic when it comes to eating. And losing your teeth can also cause difficulties with speech. It’s not pleasant to have your smile interrupted by gaps. Some people use dentures, and others choose bridges. Neither of these may be suitable for you. And both can cause further problems when it comes to dental hygiene. If you are facing the loss of a tooth, please ask us how a dental implant can help restore your smile. Losing a tooth can create many problems. You may become more susceptible to gum disease. The teeth adjacent to the gap left behind may also start to collapse into the space. The revealed gum line can also be subject to sores and abrasions from eating. Dental implants protect the mouth from these problems and provide an excellent chewing surface. Instead of using dentures or bridges, it may be possible to have a dental implant installed. Dental implants are usually made of titanium screws that are secured into your jaw bone. This makes them very strong and safe. They won’t move, and they won’t fall out. The effectively act like a very strong, secure tooth root. On top of this is placed a colour-matched, aesthetically pleasing prosthetic tooth. It looks real, and will restore your smile. Some people use a dental implant if a root canal procedure is not suitable. Others choose to replace multiple teeth to create a beautiful smile. A minor surgical procedure creates a small incision in the gum so tissue can be lifted out. A small hole is drilled into the jaw so the implant screw can be fitted into the socket securely. This will be repeated for each of the implants required. Healing time varies from patient to patient but is usually complete between 2 and 6 months. Your second appointment allows for your custom implant to be attached to the titanium screw ‘root’ instantly restoring your smile. This replaces any temporary fitting and completes your treatment. You can eat normally, and you won’t need to remove them for cleaning. Simply floss and brush and follow your regular oral hygiene routine. It is possible to replace teeth that are no longer stable or attractive with dental implants. It is considered to be a safe procedure that can be completed quickly if the natural tooth has been absent for some time. Dental implants are also considered to be a better alternative to bridges, crowns and extensive root canal work. 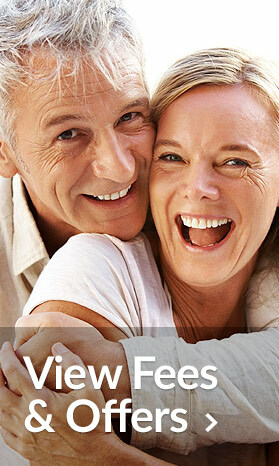 Speak to Blanche Smile Studio today to find out if dental implants are the right solution for you.